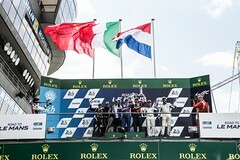 British racer Adrian Quaife-Hobbs drove a mature and controlled GP2 race at Spa-Francorchamps today, to finish third and clinch his second podium finish of the season. 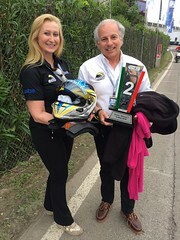 His result comes after a scorching drive through the field in Saturday’s race, from 19th to tenth, on only his second appearance in the number 22 car of Hilmer Motorsport car. 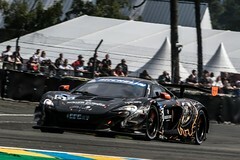 After a lengthy summer break since the last race in Hungary, during which Quaife-Hobbs had been working closely with the team to understand the new car, he arrived at the Belgian track in confident mood. His expectations of a good finish were boosted by the sixth fastest time in Friday’s free practice, just behind team-mate Robert Frijns. Heading into qualifying, hopes were high of another good result to put the 22 year-old into a strong position for Saturday’s race one. However the changes made between the two sessions didn’t go quite to plan. After pitting to make some last minute tweaks, the Tonbridge racer resumed his challenge, but a loose wheel with six minutes remaining saw him limp round to the pits. A sterling job by the team to get him back out on track allowed Quaife-Hobbs another attempt to improve, however he was held up by a slower car on his last flying lap, his charge ended, leaving him disappointed with the 19th fastest time. The weekend’s opening race saw the BRDC Superstar line-up on row ten and after a good start and a spirited drive in the early part of the race, had gained several places before the mandatory pit stop for new tyres. Although dropping a few places during the stop, another determined drive over the closing laps allowed him to gain more places, eventually crossing the line tenth. However it was Sunday’s race that really showed the form that netted him the 2012 AutoGP World Series crown, Quaife-Hobbs rocketing off the line from row five to place fifth into the first corner. Moving into fourth three corners later, he moved into the final podium spot at the beginning of lap two and set about chasing down the lead duo. Over the course of the race, Quaife-Hobbs was a man on a mission. Lapping some eight-tenths faster than the opposition he reduced the six-second gap to the leaders to just over a second, until his charge ended three laps from home, when his tyres started to go off. A brilliant recovery saw him avoid losing the back end completely, and the tyre degradation caused him to back off, but saw him record a strong third place at the flag. “After the summer break when I spent some time working with the team, I was feeling pretty confident coming into Spa, and running sixth fastest in free practice was a good result,” said Quaife-Hobbs. “In qualifying, we ran with our normal set-up but that didn’t work right, as we had a different tyre construction to take into consideration. We made some changes, but then the wheel worked loose, costing me some time in qualifying, and then I was held up on my last flying lap, so 19th was pretty disappointing, however I was confident of our pace ahead of the race. “I made a pretty good start, but (Johnny) Cecotto stalled in front of me so I had to take avoiding action, but I managed to pass a few cars before the stop. The pit stop was okay and after that I managed to get a few more places with some fairly aggressive driving and was able to keep up the pace of the leaders. The series resumes in two weeks time, with a race around the historic Monza circuit in Italy over the weekend of 7 & 8 September, where Quaife-Hobbs in the Hilmer Motorsport car is determined to capitalise on his recent good form in his bid for his maiden GP2 win. 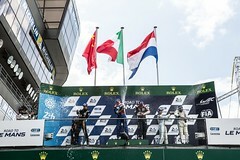 For more information visit www.quaifehobbs.com and follow the latest news and live timings on www.gp2series.com.